Founded in 1986 in Arezzo, heart of the Italian jewelry district, MII Spa is now a major force in the global jewelry industry. Almost 30 years of experience, reliability and a professional approach have contributed to build our company’s excellent reputation among jewelry professionals all over the world. We are proud to work with major international partners, professionals, wholesalers and importers from all over the world. Having developed many long-lasting business relationships, we always pursue a modern and global approach towards new collaborations, customers and business partners. Always keeping an eye to innovation and state-of-the-art manufacturing techniques, we deal with all precious metals, developing and expanding our product range in line with specific market trends. 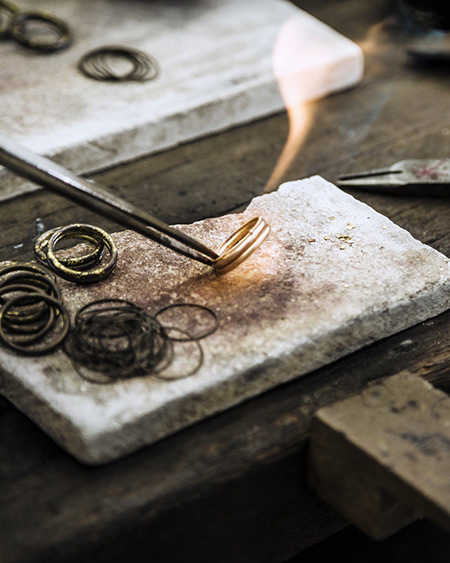 Our customer-oriented approach allows us to meet all needs, going from the manufacturing of special models with various precious metals to the design and development of entire jewelry collections based on customers requests and global trends.